FLOWERBYKENZO. For a beautiful world. The power of a singular flower, strong, pure and sensual. A real antidote to the ambient gloom, the poppy wakes up the city with its positive and colorful energy. A powdery floral scent, a subtle balance of Bulgarian Roses and Violets, magnified by Vanilla and White Musks. 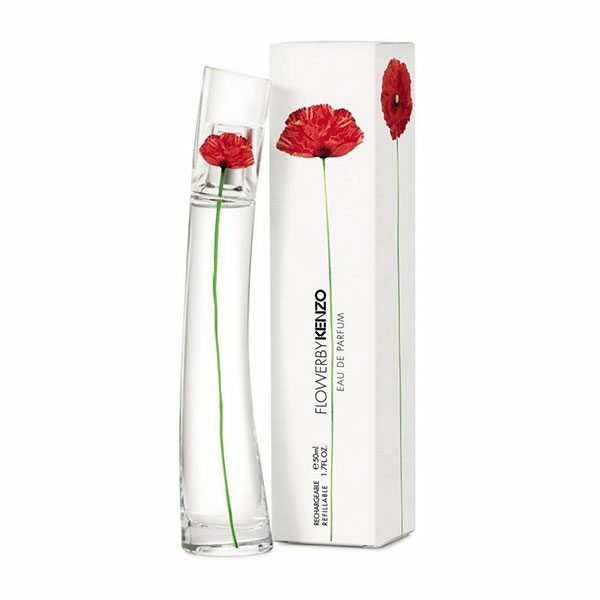 A singular Eau De Parfum created by Alberto Morillas, that has become an icon in the fragrance world. A simple and beautiful, fragile and strong red flower, like the woman who holds it. Unpredictable, the poppy grows here and there, where least expected, to reenchant the city. It blossoms on the urban curves of the bottle.